Why make fuss about daughter's marriage if the money is hard earned? 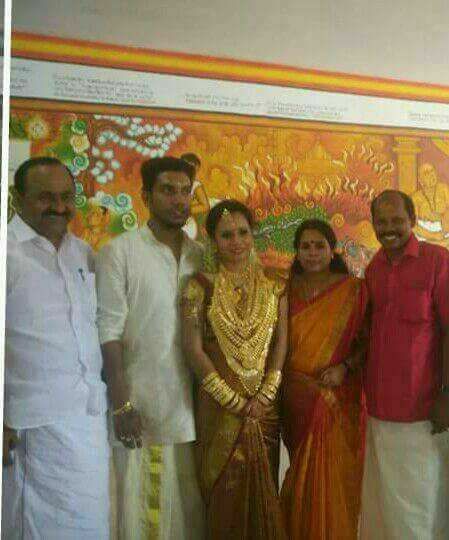 She has enough money to buy the gold.Why envy it?Instead we should all work hard & try to make more money and invest in physical gold or gold bonds.On a rainy day, this can definitely save you.If you have less money, buy lesser jewellery or no jewellery at all.Where is the compulsion to put this much jewellery for a marriage?Just a chain of any weight is needed for marriage. 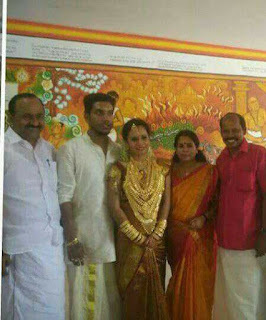 Mangalasutra is weared in a yellow thread and with little yellow metal.Only that is mandatory for a marriage.Rest all are additional fittings.Making lot of golden jewellery means loss of asset due to huge making charges and benefits only jewellery businessmen.Best way is to buy sovereign coins & bars or gold bonds issued by the finance ministry.Communists must realise that they cannot forcibly restrict the freedom of their members to avail material pleasures, upgrade lifestyles & get prosperous.It is fascism to control the desires of individuals.You should only correct them if the desires are immoral.